O (Observation): The person talking to Jesus states: “Blessed is everyone who will feast in the kingdom of God!” Jesus takes this as an opportunity for a lesson about taking the Kingdom for granted. Jesus reminds the people that being a part of the Kingdom is more than just being invited. One also has a responsibility to respond to the invitation. God’s goodness is revealed in the parable. The goodness is revealed in the invitation to those originally invited, as well as to those called from the streets. And yet, the lack of response from the wedding guests reveals the danger of not responding to God’s invitation to live a Kingdom life now. A (Application): This parable seems so pertinent to me for today’s world. The parable shows how folks are so busy…and yet miss the goodness of feasting with a gracious host. Lots of other things seem to be more important than following through on the invitation into the Kingdom these days. Spending time at “the banquet” is like responding to God’s invitation – to enjoy and appreciate the invitation by spending time at the feast. 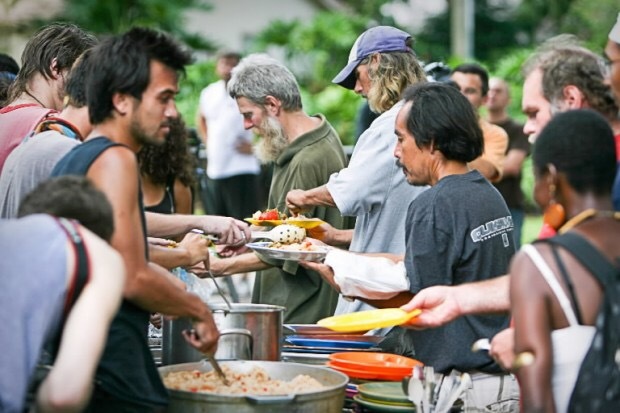 Spending time at the feast is like signing up to feed the hungry, gathering supplies for the homeless, reaching out a hand of fellowship to someone from another religion, and so much more. This is both the point and the warning. To be a part of the original invitation does not mean one automatically has access to blessing. One must respond when the summons comes in order to participate. The summons came in the person of Jesus and his proclamation of the kingdom. The statement here refers to the fact that many in Israel will not be blessed with participation, for they have ignored the summons when it came. God’s grace is deep and wide. P (Prayer): Lord, help us to see the invitation and to respond to it. You create a relationship with us. Help us to respond with action in this world. Amen.